TURIN -- New-car sales in Italy rose 6.5 percent last month, helped by a recovery in demand by private customers and by an additional selling day compared with the same month last year. Registrations rose to 171,379, according to figures published by Italy's transport ministry on Wednesday. 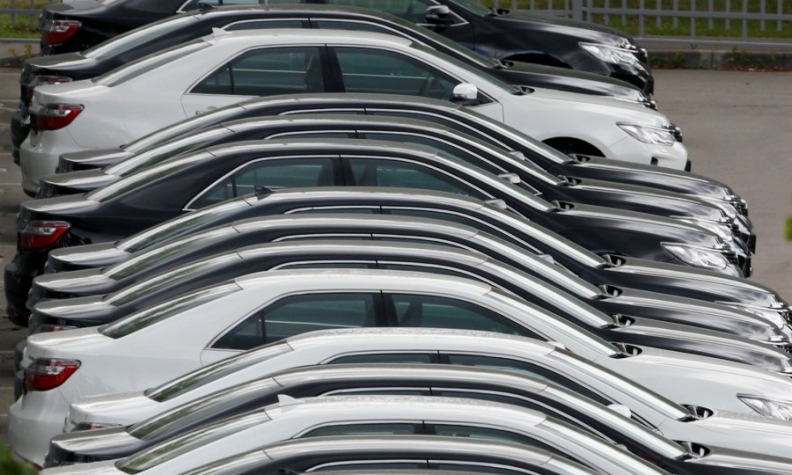 The sales increase on an adjusted basis was 1.5 percent, according to car importers association UNRAE. Demand from private customers was up 5.5 percent, according to Dataforce. The increase was fueled by "massive promotions" by dealers who had accumulated stocks of new cars in the first quarter, said Adolfo De Stefani Cosentino, head of dealer association Federauto, in a press release. Self-registrations by dealers remain at a high level, he said. According to Dataforce, self-registrations by automakers were up 25 percent while those by dealers declined by 6.5 percent. Registrations by long-term rental companies rose 21 percent, while short-term rentals were up 2.4 percent. Market leader Fiat Chrysler Automobiles lost ground as in previous months, with a 2.2 percent sales decline led by a 12 percent fall in core brand Fiat's registrations. Jeep more than doubled sales with 124 percent growth thanks to the Jeep Renegade climbing to seventh place among most popular vehicles with 4,046 units sold. The recently launched Jeep Compass took 13th place with 3,166 sales. Alfa Romeo sales rose 11 percent while Maserati registrations were down 9.5 percent and Lancia slipped 25 percent. Volkswagen Group sales rose 22 percent on the back of a 30 percent jump in registrations by the VW brand, Seat's 50 percent gain and Skoda's 30 percent growth. More than half of the VW brand improvement came from sales of CNG versions of Golf, Polo and Up models. In PSA Group, Peugeot sales were up 15 percent, Citroen sales increased 21 percent and Opel registrations rose 2.1 percent after losing ground in the first three months. Renault's volume was flat and Dacia saw registrations decline 12 percent. Ford registrations were up 7.2 percent. Among German premium brands, Audi sales increased 2.6 percent, BMW's volume was down 9 percent, while Mercedes-Benz sales declined 6.6 percent. Among Asian automakers, Toyota's registrations rose 13 percent and Nissan jumped 25 percent. Kia sales were up 46 percent, while Hyundai slipped 2.9 percent. Diesel car sales were down 3.7 percent in April, while gasoline car demand was up 16 percent according to UNRAE. Diesel share was down to 52.8 percent from 58.4 percent in the same month of 2017. Alternative fuel vehicles gained share, with LPG sales rising 9.8 percent to a share of 6.2 percent, up from 6 percent. CNG vehicles doubled share to 2.4 percent. Hybrid electric vehicles increased share to 4.1 percent from 2.8 with a 54 percent jump in sales. The April increase in sales came after two months of decline and brought the year-to-date result back into positive territory. Registrations in the first four months are up 0.2 percent to 745,945. Market research company Dataforce forecasts 1.98 million registrations in 2018, a 0.5 increase on the previous year.